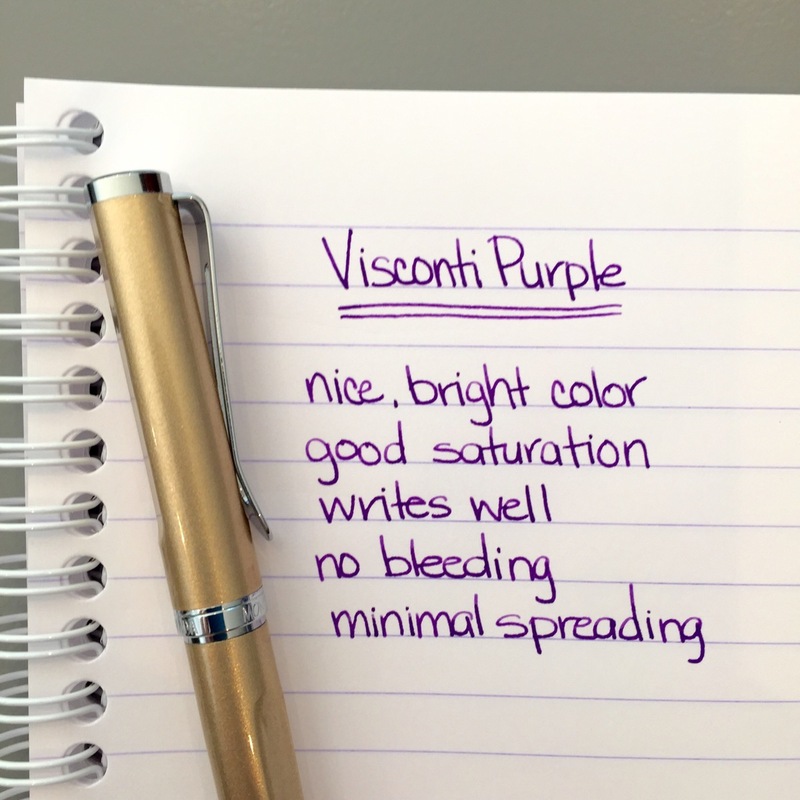 As I mentioned when I reviewed the Monteverde Limonada earlier this week, Goulet Pens also sent along Visconti Purple ink for me to try. 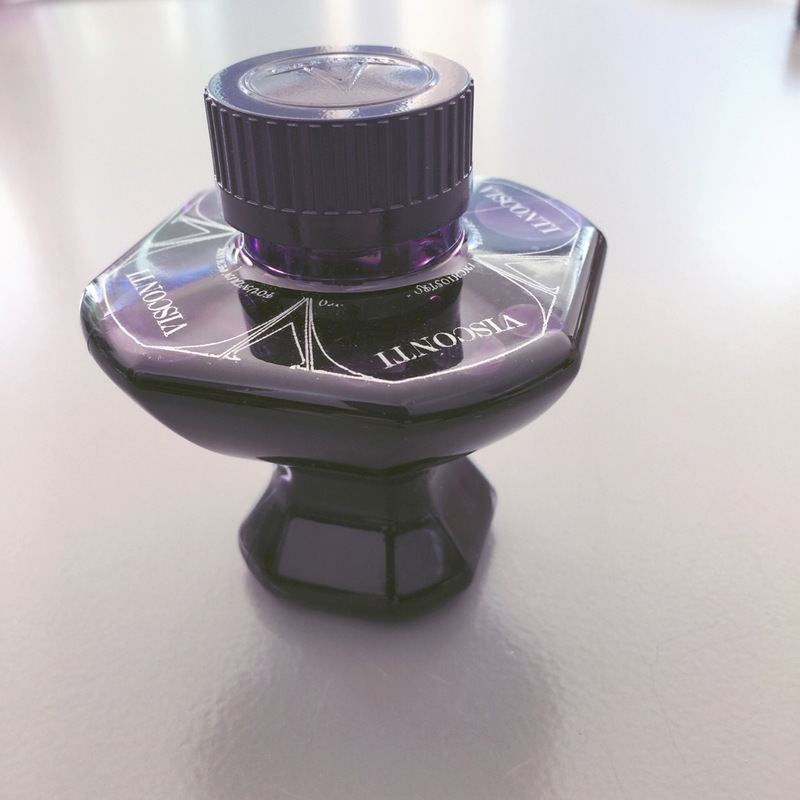 This is my first Visconti ink to review in detail. It’s impossible not to notice the unique Visconti packaging. 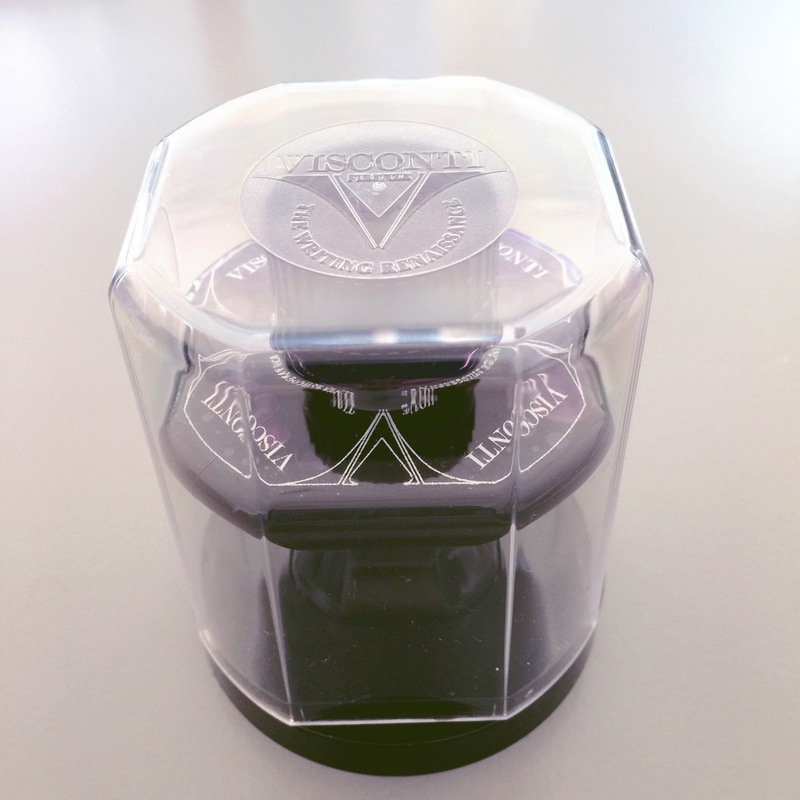 The oddly-shaped bottle arrives in a hard plastic two-piece box that can be used for storage. 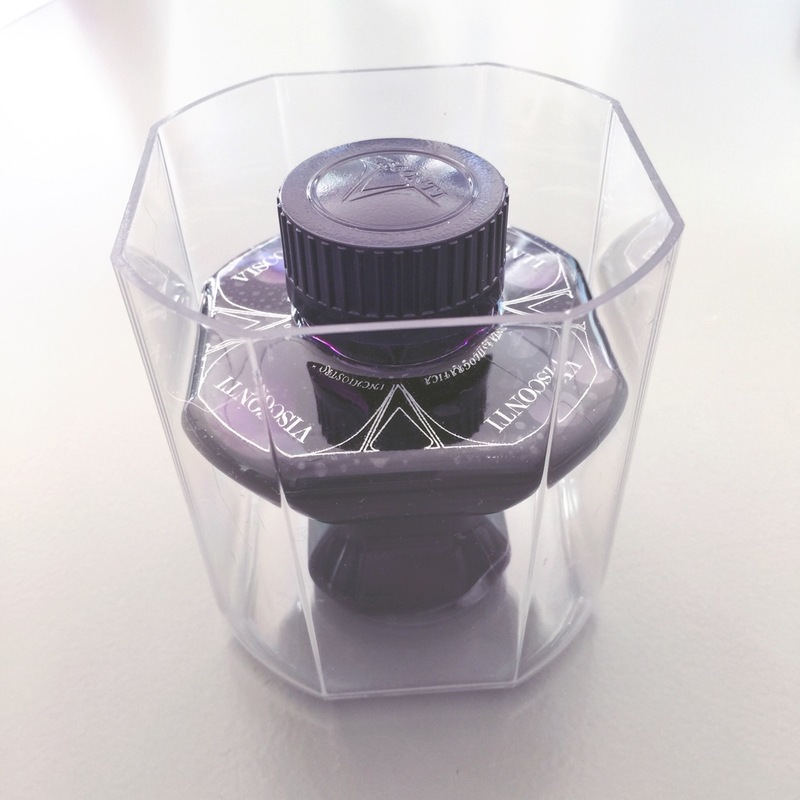 The plastic bottle is designed in such a way that as a writer reaches those last few precious milliliters of ink, the ink is in a very small area, and therefore quite easy to reach with the nib. No tipping the bottle or using a syringe/dropper required. This would be a genius design . . . except it’s not. The bottle is top heavy and even being super-duper careful, I was concerned about tipping it over as I filled my pen. Mr. Pentulant suggested that perhaps I should place the bottle of ink into the lid of the box to fill a pen, but that was awkward, too. The bottle aside – look at that color! How does it write? Quite wonderfully! It’s a bright shade of purple with solid saturation. At first, I wasn’t sure that I liked the brightness of the purple – I thought it was perhaps a little too rainbows and unicorns. After using it over the past few days, though, I’ve grown to appreciate the color and don’t think it’s as little girlish as the swab seems to indicate. I had no trouble with the ink’s behavior at all. 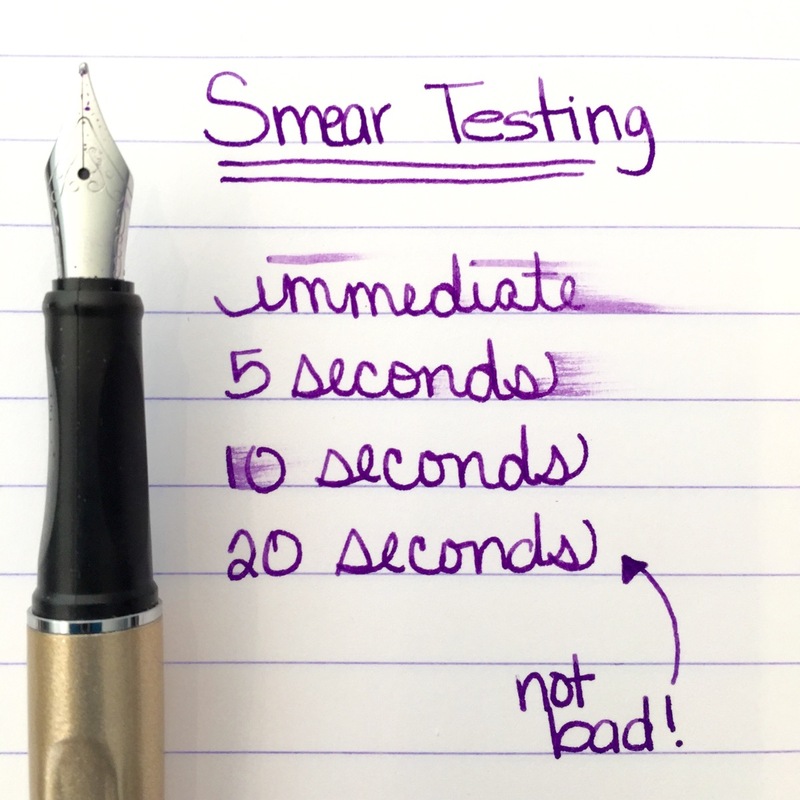 The pen started right up, I’ve had no flow issues, no bleeding, and I would say this is neither a particularly wet or dry ink. There was a teeny tiny amount of spreading on a couple of lesser quality papers. Overall, this is a really nice ink and I can see myself using it regularly. 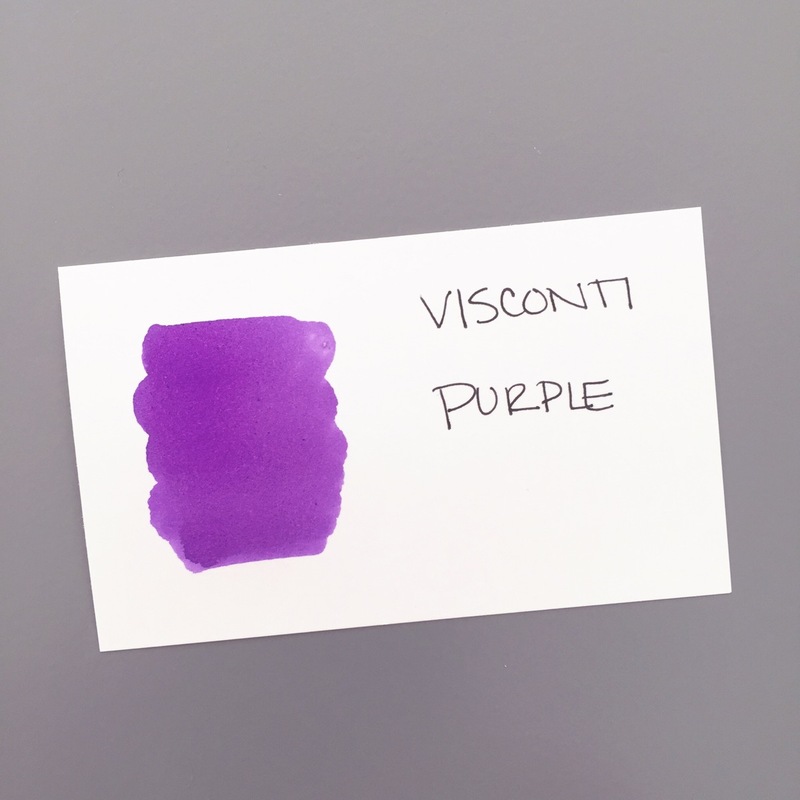 As usual, I waited to read reviews until after I’d formed my opinions about Visconti Purple. It seems that people over on FPN really went crazy for it when the ink was first released in 2012/2013 and I can see why – look at this shading! The Limonada is a medium nib, but it leans toward fine to me. I’m going to have to give this ink a go in a broader nib. Thank you, Goulet Pens, for giving me the opportunity to try a new-to-me brand of ink! Here’s a link to the sample and one to the full-sized bottle. 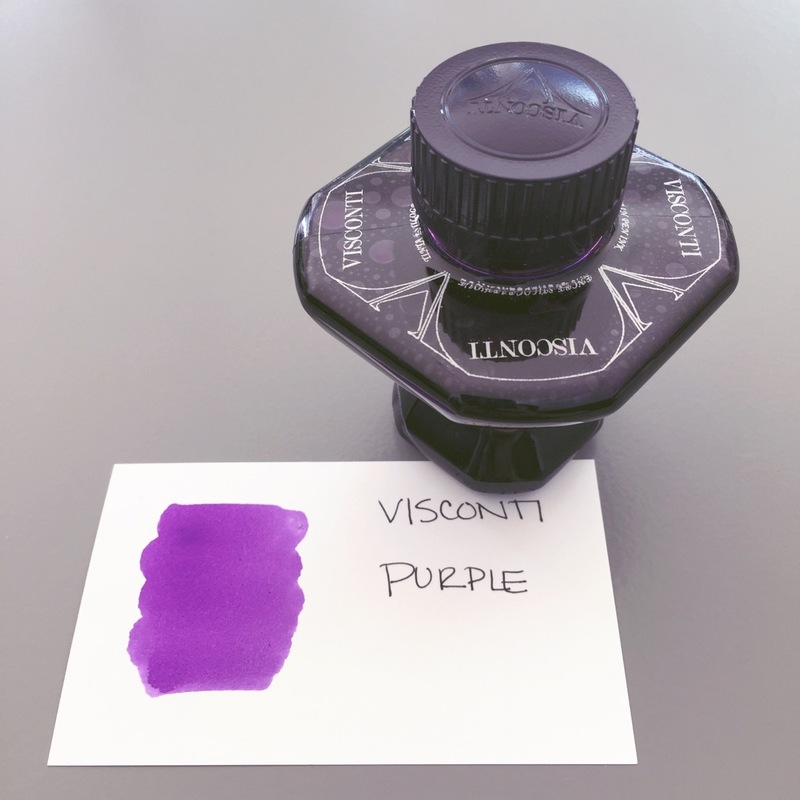 Keep an eye on Instagram for more writing samples and I’d love to hear all about your experiences with Visconti inks. 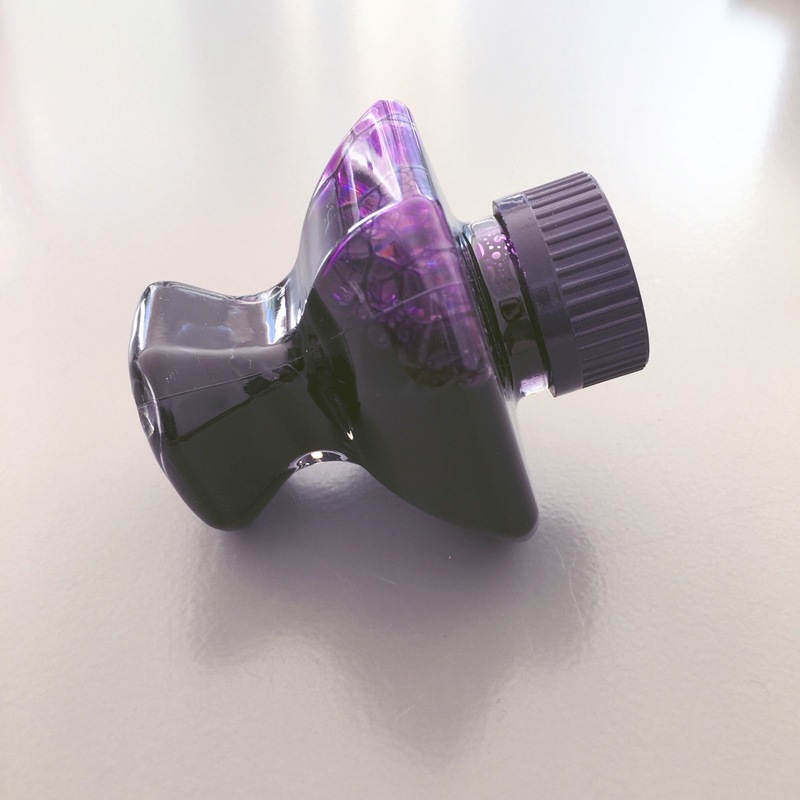 This entry was posted in INKS, PEN PALS and tagged goulet pens, ink, purple, sponsored, visconti by Christine (Pentulant). Bookmark the permalink.